After working in the family entertainment industry as a regional manager for Jumpstreet Trampoline Park, Shawn Kint, 28, decided to apply for a position at Grassperson. “I have a passion for making a yard look great and all the intricate tasks that go into that, and it’s not as simple as just mowing a lawn,” he says. 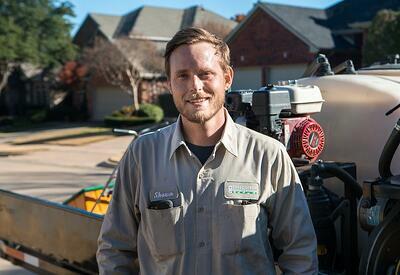 A career change wasn’t necessarily on Kint’s radar before he saw a job opening at Grassperson in Lewisville, TX. But working outdoors seemed like a refreshing shift into a career that would be personally and professionally fulfilling. He came on board last year as fertilization and irrigation manager, leveraging his previous leadership experience and taking advantage of the extensive lawn care, landscaping and irrigation training Grassperson offers. 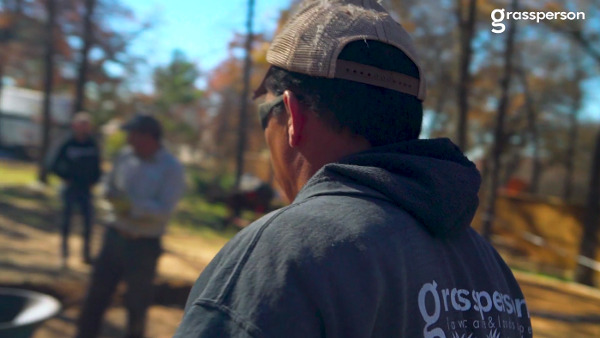 Kint shares his experience transitioning into the landscaping industry and how Grassperson is preparing him to develop a long-term career in lawn care. I applied for the position because I knew I’d love working in a position where I could be outdoors and make a difference every day. 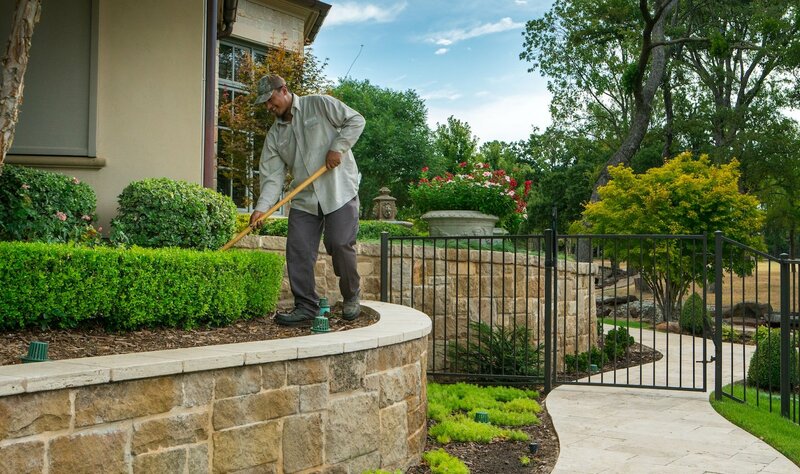 The services we provide help people get the beautiful lawns they’ve always wanted. There’s a lot of satisfaction in making that happen. After applying, I had an opportunity to sit down with the owner, Jack Moore, and talk to him about the job requirements for fertilization and irrigation manager. I was a fit because of my previous management experience at Jumpstreet. I had the organizational and leadership skills, but needed to get up to speed on lawn care and irrigation. Grassperson was looking for a cultural fit for the position—someone who values quality and understands how to really care for customers. They were willing to train me on lawn care skills. After my conversation with Jack, we shook hands and said, ‘Let’s give this a try.’ I have a lot of respect for Jack. I haven’t looked back—working in the landscaping industry has been the best career change I could have made. As an irrigation and fertilization manager, I schedule appointments for our clients, and I help diagnose issues over the phone so I can prepare the lawn care technician who will visit the property to take care of the problem. In many ways, I work in triage. It’s a fast-paced job that requires teamwork and great communication skills. Also, I have a desire to learn. That’s important because Grassperson provides more than jobs—they’re offering a career path for motivated, committed employees who want to move up in the organization. There are lots of opportunities here. Training to learn the lawn care side of the business involved lots of hands-on time in the field. I made fertilize and weed control applications, and was taught to assemble irrigation piping and identify potential issues with irrigation systems. I also dove into reading articles and attended seminars. Grassperson sent me to a special landscaping training seminar at Texas A&M University’s agricultural extension. The company has been tremendously supportive by investing in continuing education so I can pursue further knowledge. There are no expenses on my behalf—and there are also no limitations to their interest in making sure employees have the resources and training they need to succeed. Our mornings begin with a tailgate meeting, when we gather and discuss the accounts we’ll service for the day and any issues that could arise. 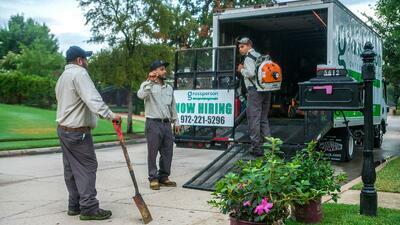 We might touch on a safety or technical topic—ongoing training is a focus at Grassperson. Then, crews are dispatched to service their routes, and I manage emails and voicemails from our clients. During that time, I also address calls that come in from the field. A crew might need a piece of equipment, or they might need to place a work order for an irrigation repair. Whatever the need, they know they can call me at the home office and I’m there to support them. At the end of the day, we regroup and discuss any issues the team confronted. We share successes, and we touch on the next day’s schedule. It’s definitely the people. I appreciate the colleagues I work with every day at Grassperson—it’s truly a family environment. We take care of each other. 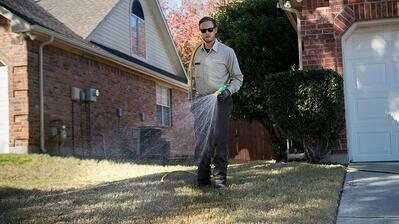 And, I enjoy interacting with our customers and helping them get the lawns they deserve. I love to do anything outdoors, and often that includes camping and boating. I am originally from Phoenix, Ariz., but I moved to North Texas about eight years ago. 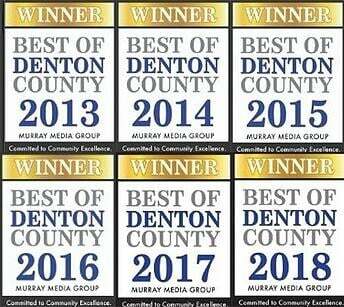 I love Denton and Collin counties, TX because there’s no shortage of things to do! 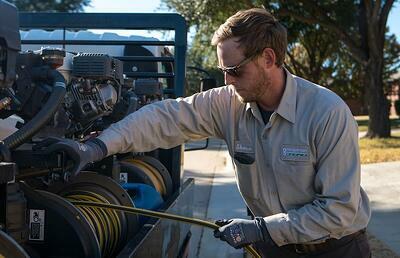 If you’ve never worked in the lawn care industry, there is a lot to learn and the company will support your training. Be open-minded. Soak in as much information as you can and lean on your colleagues. We help each other. We are always looking for committed, ethical people who are willing to learn. We have tools and mentors to provide you with skills and supports to have a career in the lawn care and landscaping industry. Ready to join us? Check out our open positions today.